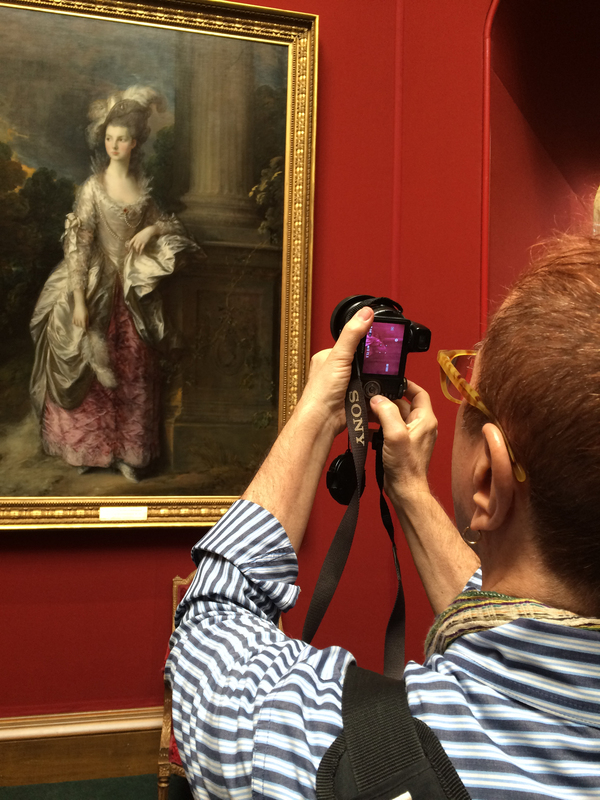 Routine examination of a painting rarely reveals surprises, but one portrait of a beautiful woman led to a cross-Atlantic adventure for oil painting conservator Bruce Wood. 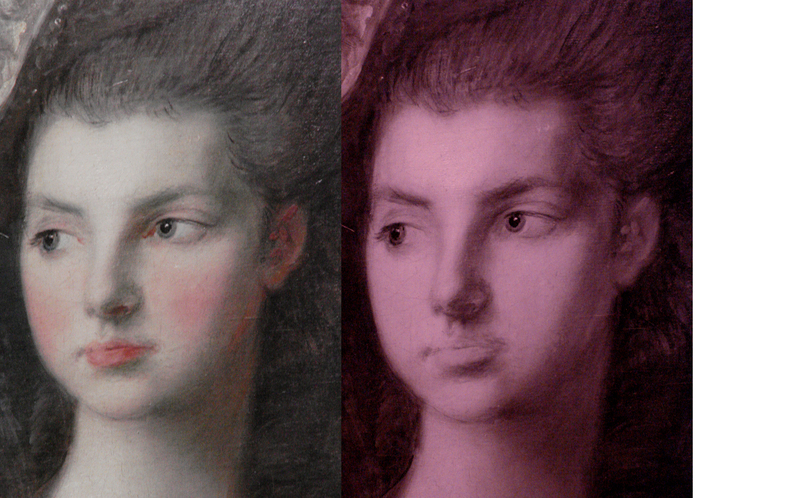 Infra-red photography revealed a complex and energetic drawing hidden beneath the surface of the paint. 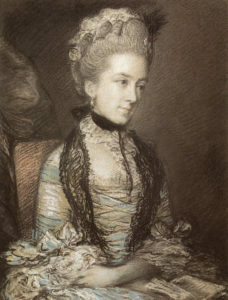 Study for The Honourable Mrs. Graham. 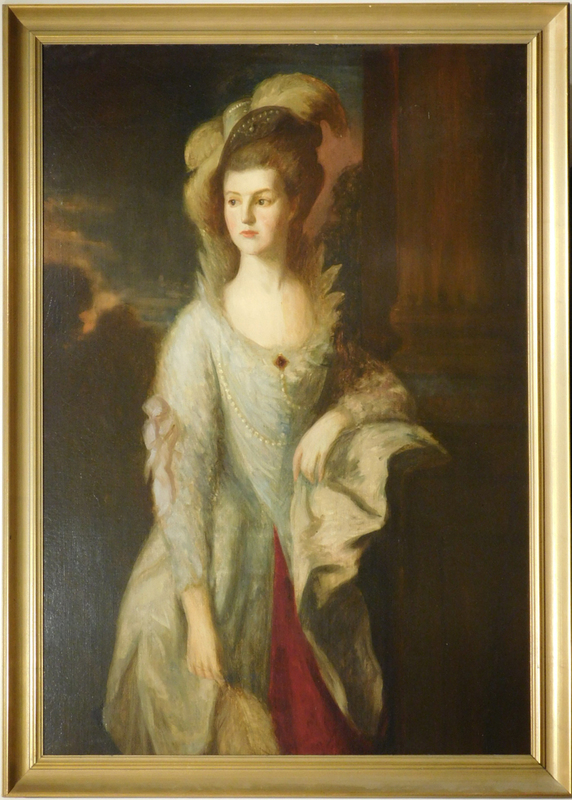 The painting was initially identified as a copy of the most famous painting in Edinburgh’s Scottish National Galleries: The Honourable Mrs Graham’s full-length portrait created by her admirer, Thomas Gainsborough. However, examination of the under-drawing and comparison of it with Gainsborough’s drawing style, quickly led to the conclusion that the painting’s creation was a precursor to the SNG’s finished work. 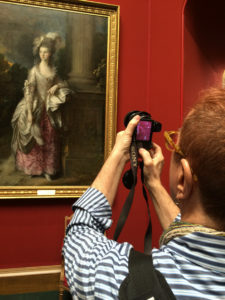 The discovery led to examination of another Gainsborough painting hanging in the Museum of Fine Arts in Boston, and eventually a trip to Edinburgh to see their masterpiece and perform infra-red photography in their gallery. The revelations of this work led to an understanding of Gainsborough’s working methods, and further bolstered the opinion that the Woodshed’s painting is a rare oil study by the master artist. Hand of the Study. 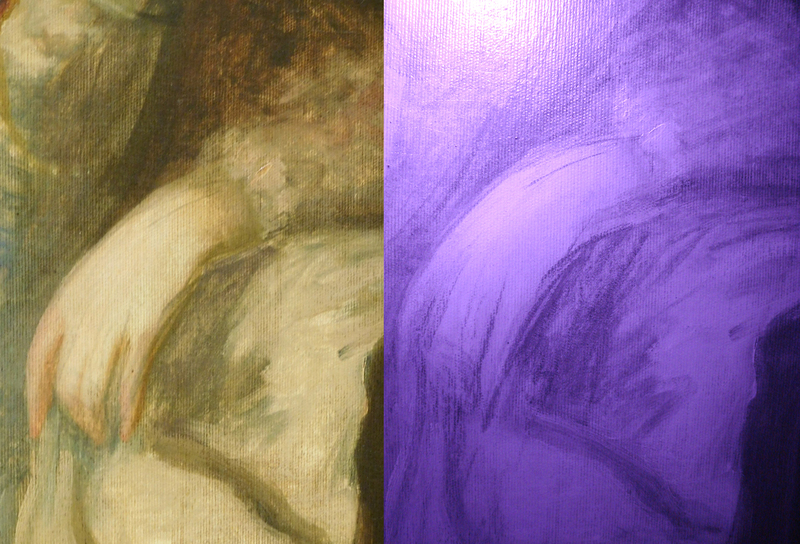 Infra-red photo on right shows quickly sketched under-drawing. 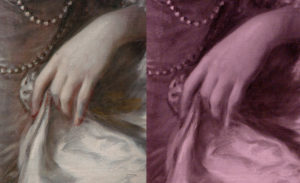 Hand in the finished painting. 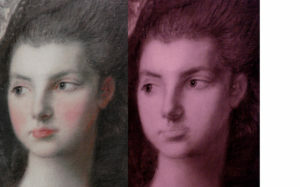 Infra-red photo on right shows refined under-drawing. Gainsborough’s portrait of Caroline, 4th Duchess of Marlborough. The treatment of the hair and clothing relates to the under-drawing of the Woodshed’s study of Mrs. Graham. 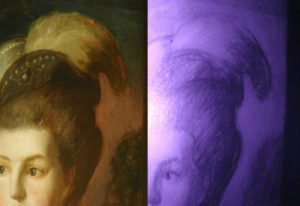 Infra-red photography at the Scottish National Gallery.